“Powerlines: A New Play Festival With Hard Hats” will be lighting up Ives Hall for its second year this week, and for Sonoma State University playwright Kyle Kiefer, it’s crunch time to the premier with his featured production “Eat Your Heart Out” starting on April 4. Originally a Graphic Design and Creative Writing student at Solano Community College and Cal Poly Pomona, Kiefer came to Sonoma State once he shifted gears and came to the conclusion that theatre was more of his forte. “I had actually come up with the basis for my play while taking a class in Creative Writing at my community college before I transferred to Sonoma State,” said Kiefer. During script applications, Kiefer added more dialogue and turned the story into script format. He then submitted it for review to festival director and Director of Theatre Studies Scott Horstein. Horstein along with a board of professors chose his play along with three others’ to be featured in the 2019 festival. A Theatre Arts major with a focus in technical theatre, Kiefer has shown a keen interest in backstage work where designers and directors are the foundation behind every production. Director, Lily Fernandez has done amazing work on “Eat Your Heart Out.” Kiefer’s use of fast paced dialogue and witty retort within the script does not translate on stage as seamlessly as one might think. Fernandez, “has had to pick up the slack on that and has done really, really well,” said Kiefer. The biggest challenge Kiefer and other theatre students currently face are the extensive “tech days” ahead. Running from 10 a.m. – 10 p.m., technical days consist of lengthy 12 hour periods of running the entire show multiple times where every acute detail both large and small are fine tuned. This along with multiple rehearsals, three times per week since February has certainly been a hurdle. It’s to be noted that Kiefer has also done the set design for last fall’s production of, “Mr. Burns, A Post Electric Play,” at Sonoma State. “One of the things that make me so passionate about theatre is that when someone comes and sees a show, I have one and a half to two hours to get a full range of emotions and an entire story to an audience,” said Kiefer, who throughout his time at Sonoma State has not only found his niche in theatre arts but also a strong comradery amongst fellow students. 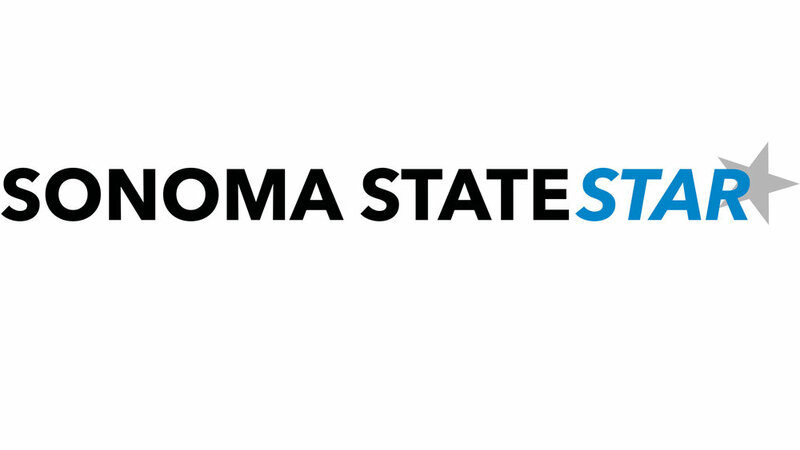 Kiefer’s background in graphic design did not encompass the same amount of support that he has received from peers at Sonoma State. “Each designer does the full production design for their short play – sets, costumes, and props – they get to design the whole world,” said Horstein. Join Kiefer and his colleagues at Ives Hall starting this Thursday, April 4 at 7:30 p.m.
Tickets are $6 for the public or free for Sonoma State students with ID. Tickets can be purchased through the box office phone number or online using the promo code “SSUStudent” for free tickets, faculty and staff use code, “SSUFacStaff” for discounted tickets.